Did a Dinosaur Walk Through Your Garden? 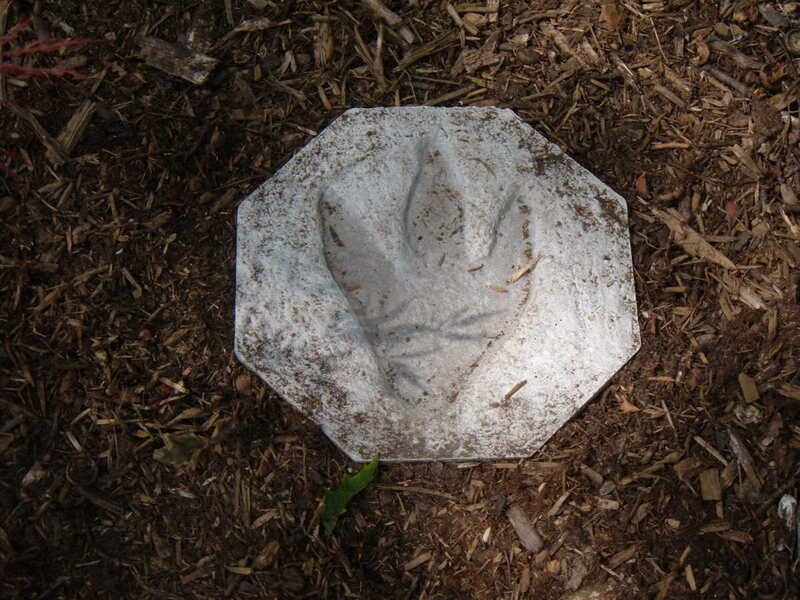 Making stepping stones is easy with premixed concrete and an inexpensive mold, and creating a pathway of "fossilized" dinosaur footprints is a fun garden project for paleontologists of all ages. We created our own Jurassic Path with a set of homemade stepping stones, complete with a set of cast dinosaur footprints. 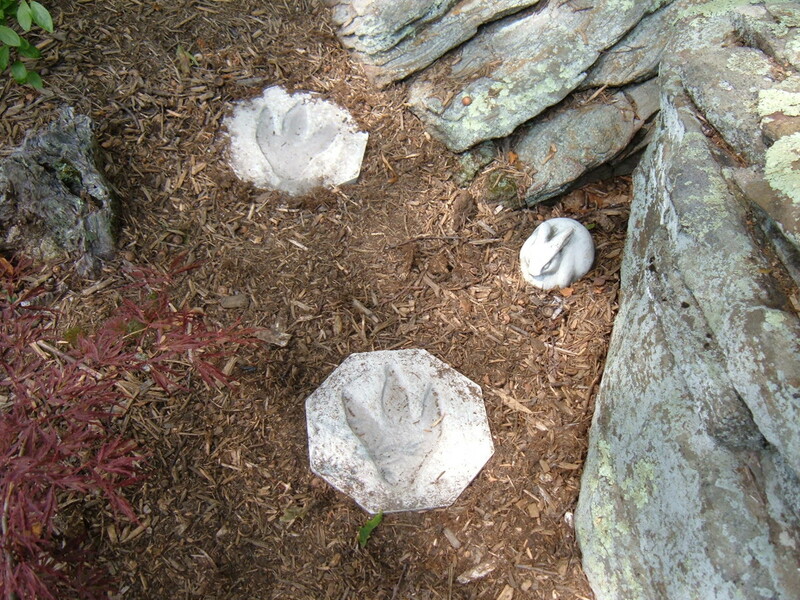 An ambling pathway of dinosaur tracks cast in DIY stepping stones adds a prehistoric accent to the garden and landscape. 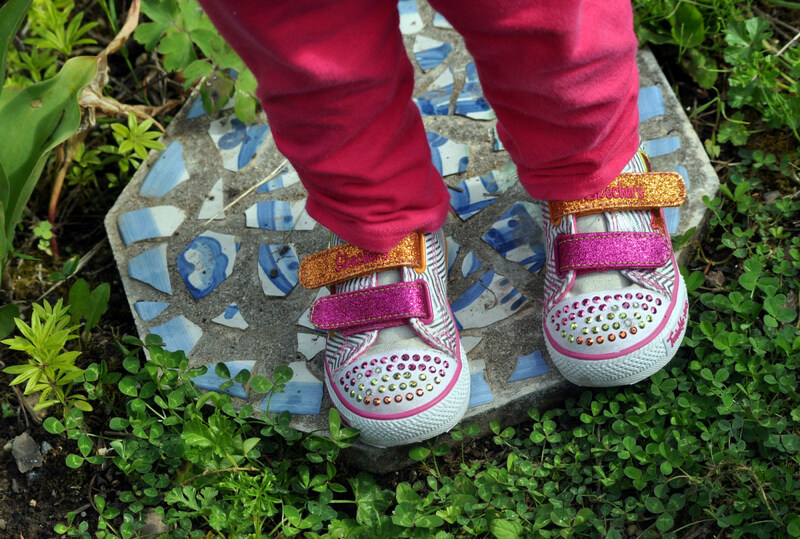 The homemade stepping stones look great, and make a unique and wonderful handcrafted gift. 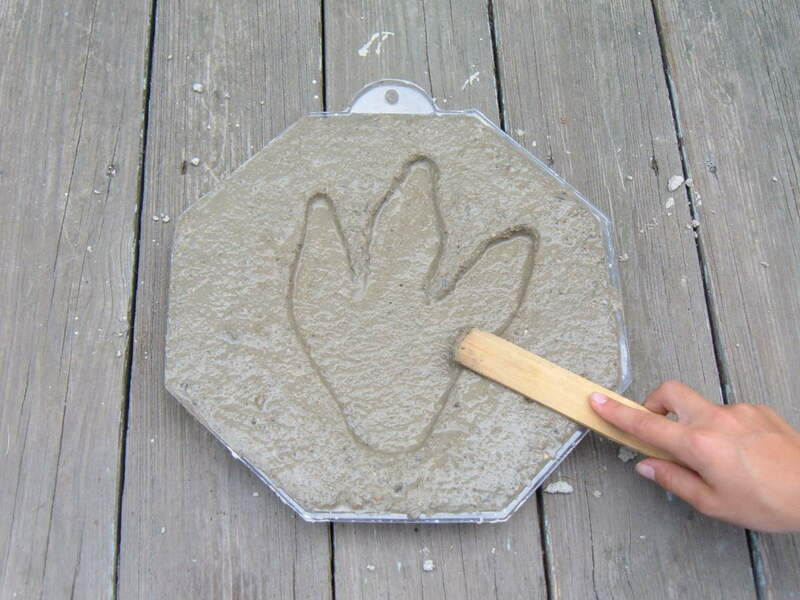 Here's how to make stepping stones from concrete and cast your own Jurassic Path of dinosaur footprints. Jurassic Stepping Stone Photos and Diagrams by the Author. Trace the Dinosaur Footprint pattern onto an inch thick piece of scrap wood (we used plywood) and cut out the footprint with a jigsaw. Lightly sand to remove any splinters and to round over the edges. 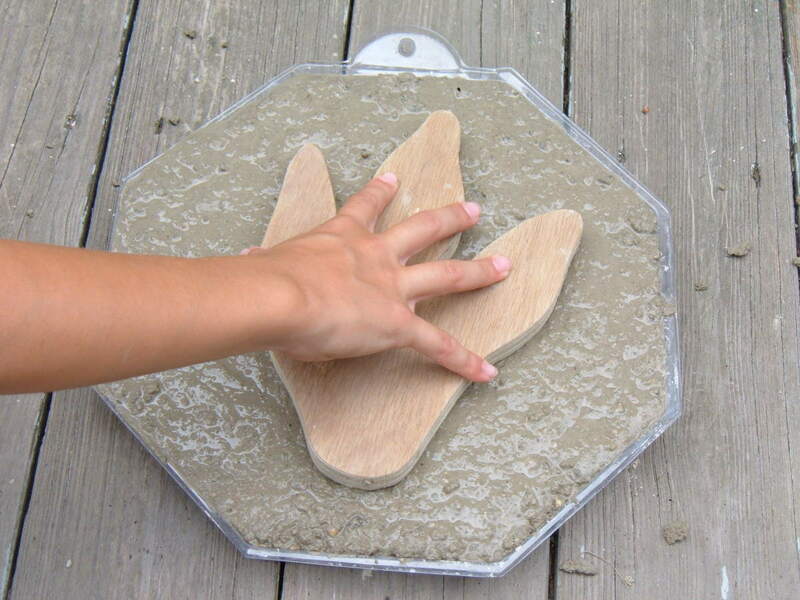 Our pattern is reversible for casting concrete stepping stones with both right and left footprints. 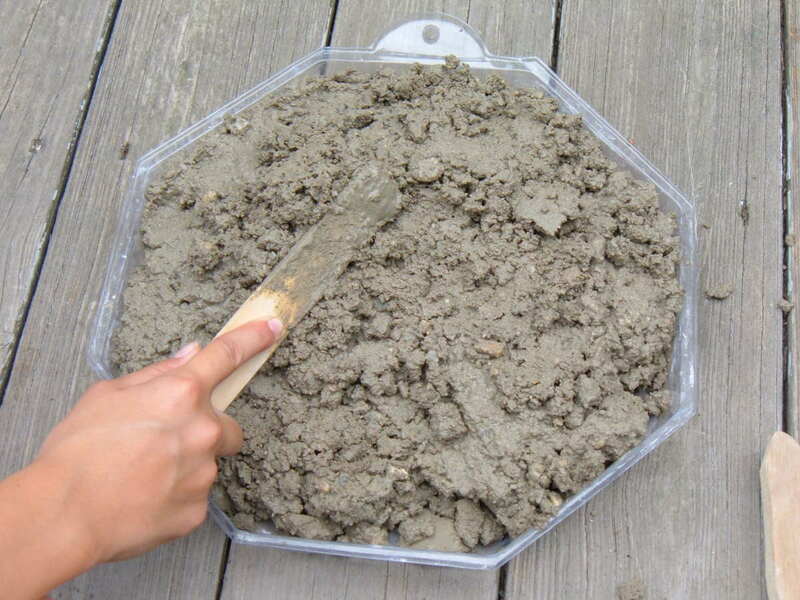 Pour 10 to 12 cups of Ready Mix concrete into a bucket, add about two cups of water and stir well. Properly mixed, the concrete will resemble a thick cake batter. If it is too dry, add a small amount of water (about two tablespoons at a time) and stir again. The concrete should be moist throughout, but be careful not add too much water. If the mix is too wet, the concrete will not set up correctly, which can weaken the mix and cause the finished concrete stepping stones to crack. Pour enough of the concrete mixture into the stepping stone mold, completely filling the form. Do not overfill. Using the wooden paint stirrer, spread the mixture evenly throughout the mold, pressing the concrete out to the edges and into the corners.Tapping the sides of the mold and jiggling it from side-to-side will help to distribute the mixture while releasing any trapped air bubbles. When concrete is smooth and distributed evenly, place the Dino Print pattern into the center of the mold and press down firmly. The pattern should be submersed about halfway into the concrete mixture. After about 20 minutes, the concrete will begin to set up. Carefully, grab the Dino Print pattern by the exposed edges and gently remove it from the mix. Rocking the pattern with a light back & forth motion will help to break the suction, releasing the pattern. Don't worry if some of the concrete sticks to the Dino Print pattern, especially between the toes. Simply remove the stuck on bits, and press them back into place in the footprint. Now is a good time to soften the edges of the imprint; fossilized dinosaur tracks are often well worn and rounded. Just use your fingers or the wooden stirrer, making minor adjustments all of the way around the edges of the imprint until you are satisfied with the look of the footprint. 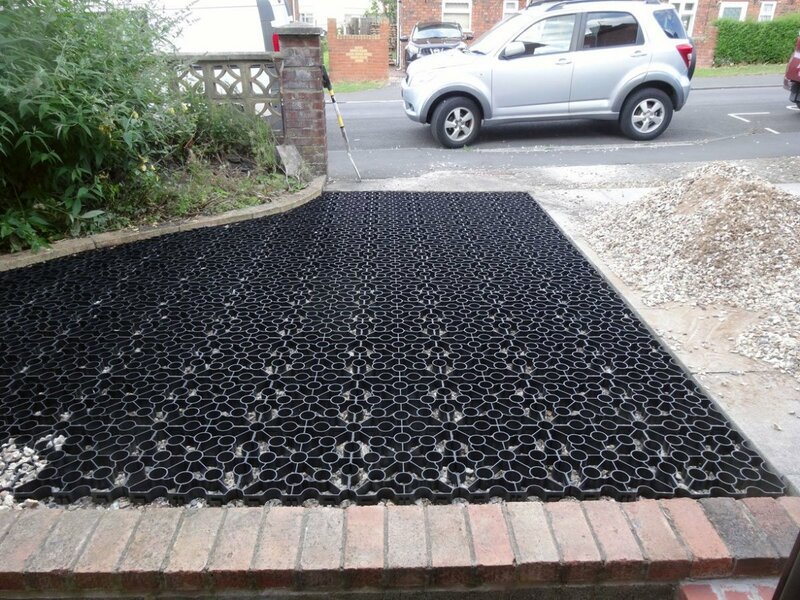 Leave the concrete stepping stones to set for at least 24 hours to dry. 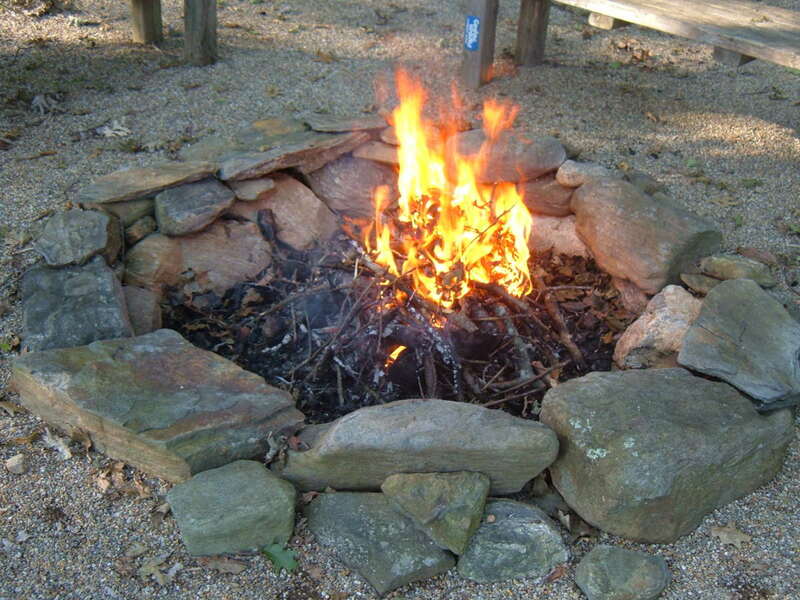 When fully dry, carefully flip over the stepping stone and ease it from the mold. It should release easily. 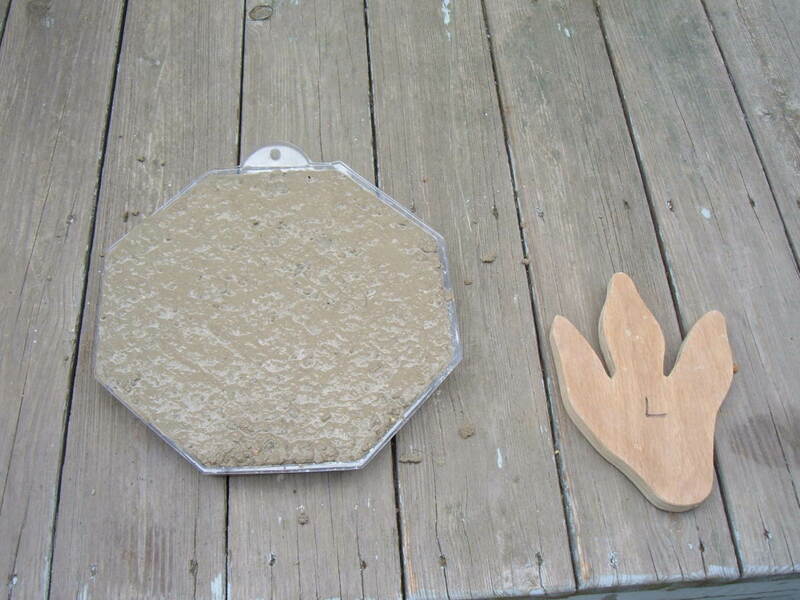 Then, use the wooden stirrer or sandpaper to clean up the outside edges of the stepping stone. Let the stepping stone cure for at least another 24 hours before placing it in the garden. If the concrete stepping stones have not cured thoroughly, it will crack when you step on it. Repeat the process to cast more concrete stepping stones! 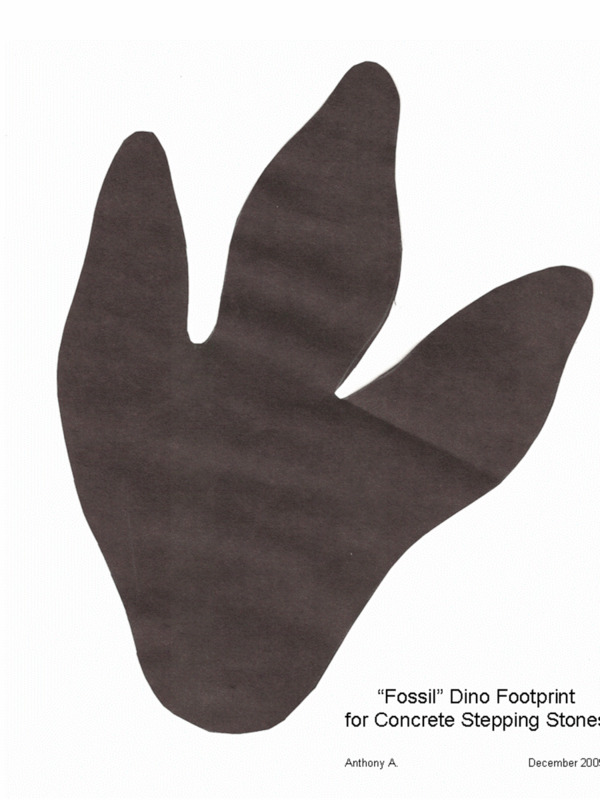 By flipping over the Dino Print pattern, you can create both left and right footprints. Alternating the placement of the stepping stones with left and right footprints will make it look like Tyrannosaurus Rex strolled leisurely through your garden. Use a thin, black wash to darken and define your new concrete stepping stones, bringing out the detail of the fossil footprints. Pour about two ounces of rubbing alcohol into a small bottle, add several drops of India ink, and stir. Then, using an old artist brush, carefully swab the blackened wash into the imprint, letting the wash flow into the tiny crevices and imperfections. Try not to get any of the wash outside the edges of the imprint or it will lessen the visual impact. Though a small step, the blackened wash adds contrast and impact to the dinosaur footprint. Plastic concrete stepping stone molds are inexpensive, available in various shapes & sizes, and available online and at most craft stores. 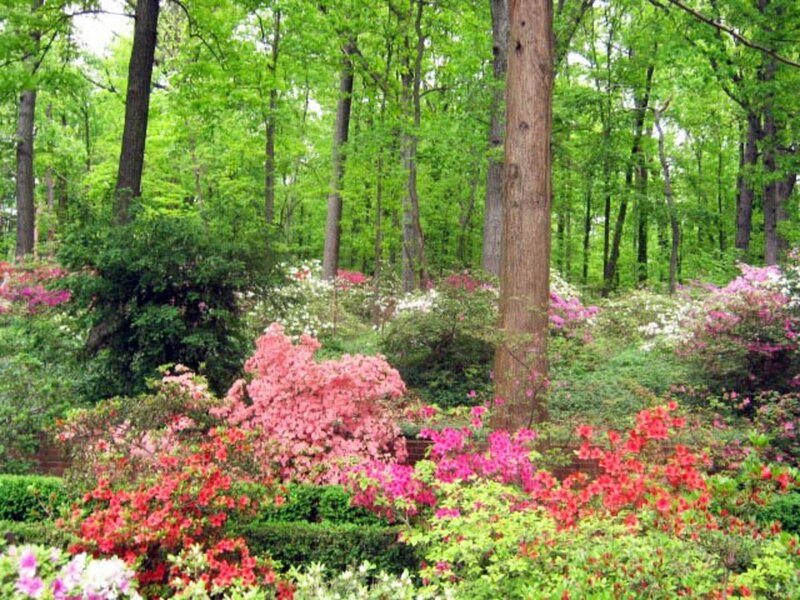 Have You Made Stepping Stones for Your Garden? This looks fun & easy, and I'm going to try making my own garden stepping stones! What a neat idea! I love how whimsical dinosaur footprints are through a garden! My grandson would simply love the dinosaur footprint stepping stones. I can see him smiling now. Just had to stop by to smile at your Jurassic path stepping stones again, I love how you have them displayed with that little white bunny wondering who those tracks belong to! Pretty cool idea. Love DYI projects. I always wanted to cast a trilobite into a stepping stone or patio paver ... now I know how. Hey, I just came over to feature this gem on my Dinosaurs Coloring Pages / Coloring-Books and I see you have that featured here, thank you kind sir! 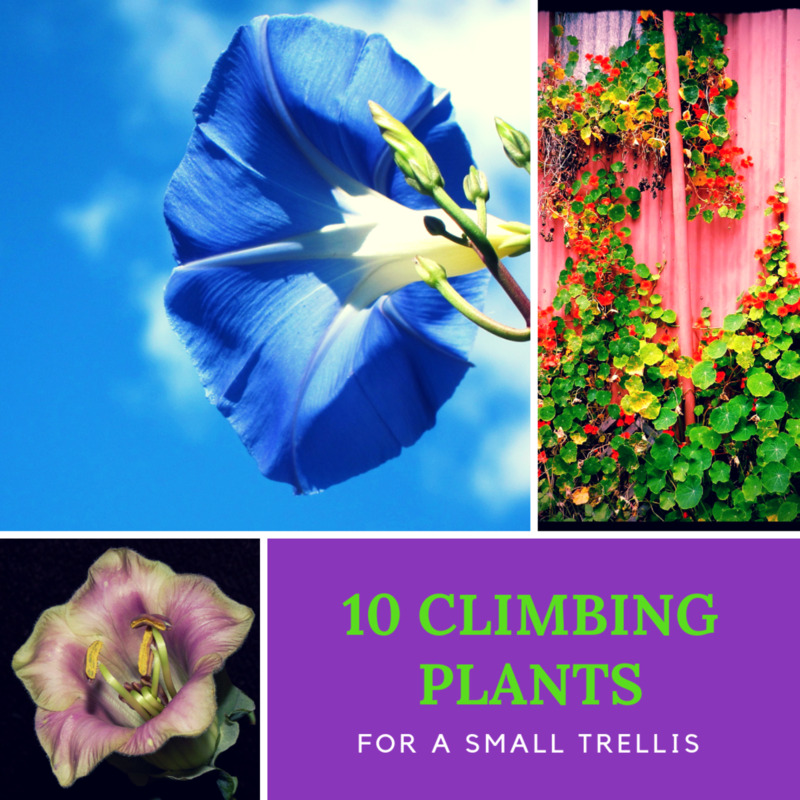 I'm also featuring your Jurassic Path - Garden Stepping Stones on my Learn How to Draw Dinosaurs and my Dinosaur Origami (Pteranodon Illustrations), thank you once again! I love these patterns for garden stepping stones. I bought mine from the local nursery and these look like fossilized leaves. 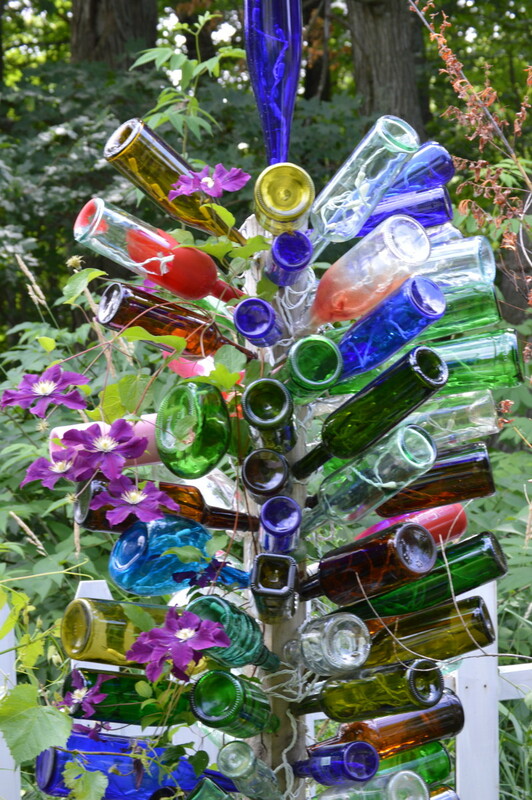 But you gave me some cool ideas to try to add more character in my garden. I like the step-by-step instructions you have with photos. Blessed by a SquidAngel. How cool is this! 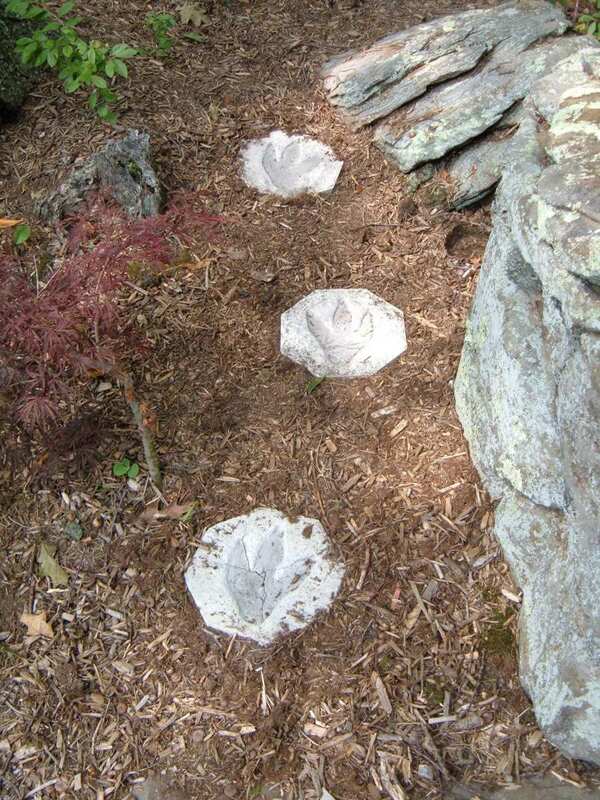 What a wonderful fun idea,,,a Jurassic garden stepping stone path, love it!